Despite decades of law devoted to protecting freshwater ecosystems and safeguarding water quality in some way or other, the decline in freshwater biodiversity is startling. Lakes, wetlands, estuaries, streams and rivers are home to a pretty incredible array of wildlife that is in deep trouble. While some effort in addressing point source pollution is obvious, the overall decline continues and indeed has accelerated in many regions. So – given the plethora of regulatory protections and safeguards – how have our freshwater ecosystems become so severely degraded? Sometimes it’s because the problems can’t be addressed, sometimes it’s because nobody will address them and other times it’s because it’s just bloody expensive. Agency capture, abetted by poor institutional alignment wriggles to the fore when we look at the state of freshwater ecosystems. Agency capture is where pressure from powerful private interests forces regulatory agencies to commit to dubious institutional arrangements, or see rules weakened or rendered ambiguous in the planning process or reduce their effort on enforcement of rules. It also infects businesses, consultants and CRIs that provide advice and services to captured regulatory agencies. After all, being on the wrong side of power and politics is rarely good for business! Poor institutional alignment occurs where an agency can’t give effect to its role because it doesn’t have the necessary tools, usually because they sit elsewhere in government. The protection of freshwater biodiversity is severely hampered by this. Whitebait provides a good example. Management of whitebait is split somewhat unsatisfactorily over a number of agencies. District councils (through management of whitebait stands), regional councils (via their role in managing habitat degradation including discharges to and abstraction of water) and the Department of Conservation (as manager of the species itself and, to some extent, the fishery) all interact in this space. Presently, four of the five whitebait species are threatened with extinction. Fish habitat loss, barriers, land use and discharges are managed largely through local government planning processes while the agency charged with protecting the species is only able to control some of those impacts. DOC can’t manage the primary impacts on the species…even if they wanted to. Such opaque arrangements do not work for nature, and responsibility must be clear and unambiguous. Nevertheless, there are no catch limits, there is no monitoring of aggregated take and no way to establish what a sustainable level of catch even is, such is the apparent disinterest. While the fishery is not the primary impact on whitebait, a conservation agency managing a native species to extinction is not a good look. Our freshwater biodiversity needs strong and enabled managers and protectors, and an ongoing ‘review’ wouldn’t appear to have made much progress. Glacial progress toward addressing freshwater issues more widely led to the establishment in 2008 of the Land and Water Forum. Some freshwater policy improvements, and recommendations for many more, have come from LAWF. This includes the soon-to-revised National Policy Statement on Freshwater Management. But adoption of the time-guzzling Forum’s many recommendations has been very slow compared with the urgency of the problem. This too is a symptom of a powerful lobby against more effective management of these common resources. 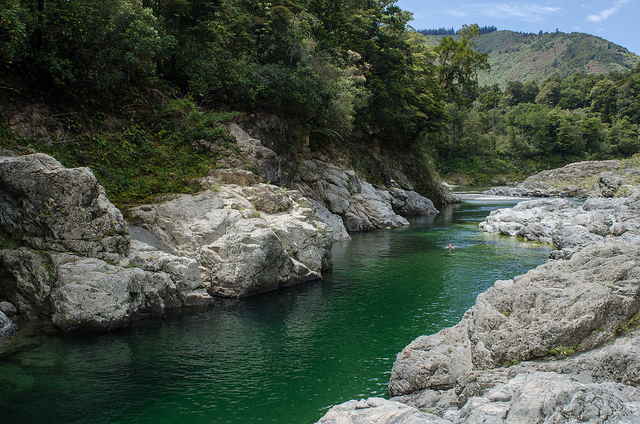 The government must institute far more aspirational policy settings for our precious water bodies (how about swimmable – for you, me and the kōkopu?) and do so with urgency, now. This should include mechanisms that mandate outcomes for agencies, against which they should be rigidly assessed. But while the freshwater management mandate to regional councils and DOC (and for that matter, to landowners) may be strict and getting stricter – are they actually resourced for the task? Fixing our freshwater crisis demands money, courage and expertise – not to mention driving home some accountability where it’s needed most. Take aging sewerage schemes in small communities for example – the dodgy infrastructure servicing many provincial towns can see tonnes of human waste polluting freshwaters, and the price tag to address them is out of reach for the current rating base. A number of schemes have been non-compliant under the RMA for decades. In other situations, the degradation of ecosystem health has been allowed while substantial wealth has been extracted from the environment. The absence of a coherent polluter pays approach has enabled powerful private and corporate interests to privatize the profits made from degrading freshwaters and socialize the costs of that pollution and biodiversity loss. So if we can’t afford it, do we just not pay? Of course not. Debt always gets paid one way or another. Failure to address pollution will gradually destroy the ecological integrity of our freshwater bodies and ultimately, the marine environment. The success of the Choose Clean Water tour in recent times is testament to the fact that the New Zealand public expects better than that. Cleaning up the mess fifty years from now will be gruesomely costly and far beyond the means of future generations. We may also see extinctions in our native fish fauna within this time frame – an irreparable effect. Practically, this requires a financial strategy that anticipates a mix of public and private investment, central government assistance and a stronger emphasis on polluter pays for environmentally damaging activities, particularly where these result in extractive wealth. This strategy must take full account of the price of recovery now compared with the extreme burden that unreasonable delays will drop on future generations. It must also be forward-thinking and future-proofing. Most importantly, it needs to set out the benefits of healthy functioning ecosystems now compared with some distant future utopia. Focusing only on immediate costs gets us nowhere. Addressing our freshwater biodiversity crisis requires a good hard look at institutional arrangements, a far more aspirational policy setting, some courage and political willingness to protect the public interest ahead of private and corporate interests, and a genuine and practical investment pathway to get us there. Policy is good, but action now is essential – water is going downhill. While we can’t negotiate physics, we can negotiate the politics. Featured image: Flickr CC, Jeff Hitchcock. The quality of the water has exponentially more impact than fishers. Mind you we are a country where you need a certificate to use a ladder now lol.